The following guest post is written by Neil Richardson, an advisor for The Zebra, which is the nation’s largest car insurance comparison marketplace. An insurance nerd through and through, Neil has helped tens of thousands of customers understand and secure auto insurance with his expertise and unique knack for translating complex industry jargon into plain English. When you are insuring a valuable asset like your vehicle, you want to be aware of the ins and outs of your policy before you give your payment information, not at a crucial time like a claim. “Full coverage” is often used as a blanket statement to describe an insurance policy with comprehensive and collision coverage, but it isn’t that simple. Understanding your coverage before something happens will help you avoid a potentially disastrous outcome like being stranded on the road because you thought your “full coverage” policy provided roadside assistance or medical coverage when it may not. So, What Is “Comprehensive and Collision” Anyway? Physical damage coverage, which is the part of your auto policy that covers your vehicle, is described as “comprehensive and collision.” Technically, they are two separate types of coverage, though they are often coupled, and they extend beyond state minimum liability insurance requirements (which cover the other driver in a collision). When you finance a vehicle, you are required to carry both comprehensive and collision coverage, and this is normally when you will be told that you need a “full coverage” policy. Lenders require this coverage in addition to the state minimum because it will cover your vehicle against damage due to accidents (collision coverage) and many scenarios other than accidents (comprehensive coverage), which is important to those lenders since you don’t yet own the car outright. Comprehensive coverage is a catch-all for incidents that aren’t considered “accidents” like hail, flooding, or vandalism damage. When getting an insurance quote, you will need to choose a deductible amount. If you are financing your vehicle, then you will want to confirm what deductible option you are required to carry based on your loan paperwork. The option you select is the amount that you agree to cover (read: pay) if you have to file a claim. Once your deductible has been paid, then the insurance company will fix the remaining amount of damage. Most people who have comprehensive and collision on their policy will carry $500 deductibles, but there are many other deductible options which typically range from $250-$1,000. The total cost of an insurance policy is often largely dependent on the deductible selected. The lower the deductible, the more expensive the policy, but also the less you will have to pay if something happens to your car. Most agents will let you know what the difference in premium looks like among the options so you can decide which one makes the most sense for your situation. Did you know that a number of insurance companies (including Metromile) also allow you to select individual deductible options for comprehensive and collision? 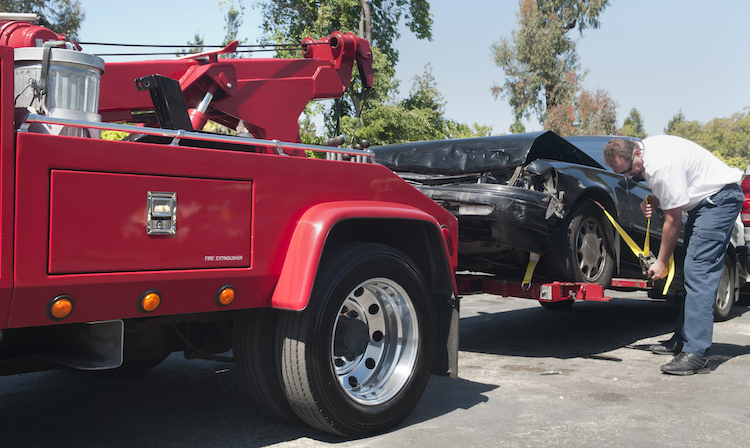 Generally speaking, collision coverage is much more expensive than comprehensive, so you may consider having a $500 deductible for collision but select a $250 option for comprehensive and only see a slight difference in your premium. The important thing to keep in mind is that you have options. Editor’s note: If you are considering switching to Metromile, our licensed agents are happy to help determine the best coverage and deductibles for your needs!